GET, TRANSFORM, POST & REPORT with a direct Xero/QuickBooks feed into Excel. The toolbar provides a 2-way communication with Xero. DataDear has a powerful, easy-to-use toolbar which allows you to orchestrate the data to your needs. View all Xero & QBO companies connected to DataDear in a friendly name you assign. Easily switch between organisations without opening the accounting software. Download filtered or unfiltered raw data directly from Xero and QuickBooks in the form of tables (such as invoices) or reports (such as trial balance). Before using DataDear, you need to login with your username and password. Account holders and invited users have access to different functionality. Refresh your data across different sheets and organisations in the same workbook. Drill down transactions further when required. Browse through the templates library, download the required template and post the data created in Excel directly to Xero or QuickBooks … save and continue later. Easily add new Xero & QuickBooks Online organisatoins and invite users. Access your web Dashboard directly though the Excel toolbar. Delete any unnecessary columns from data tables or apply filters as required. Your preferences will be remembered. Check and download any attachments or get a copy of an Invoice PDF for the selected records. We’ve made it super easy to report a problem from the toolbar. Build new spreadsheet tables directly from Xero or QuickBooks data – ideal for generating reporting, data mining and to populate financial models. Choose from data tables provided by Xero and QuickBooks – including reference data such as tax rates or Currencies and transaction data such as Invoices or bank transactions. Choose from a range of standard reports supplied by Xero and Quickbooks which include the Trial Balance, Balance Sheet and the Profit & Loss. Data tables are presented in an optimised and user-friendly manner … ready for linking and pivot tables. Each table can be configured by a number of user-friendly parameters. 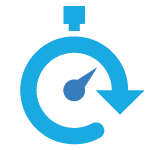 No need to login to Xero or QuickBooks to download the data with every iteration – pull the fresh data you need instantly in any report – save and redo when required. Downloaded data is automatically created in Excel tables which makes it easier to automatically apply formats, sort data, filter data add totals and add your own formulas. Download as many tables and reports as required in multiple worksheets in the same Excel file. Refresh them all with 1-click. You can integrate data downloaded from DataDear into your spreadsheets. On refresh all your connected reports are fed with live data and updated. Save your own parameters / conditions to reuse them as necessary or apply presets to easily slice the data you need. Load settings and parameters from a separate sheet to easily change reporting parameters and comparative periods for a number of reports when refreshing. 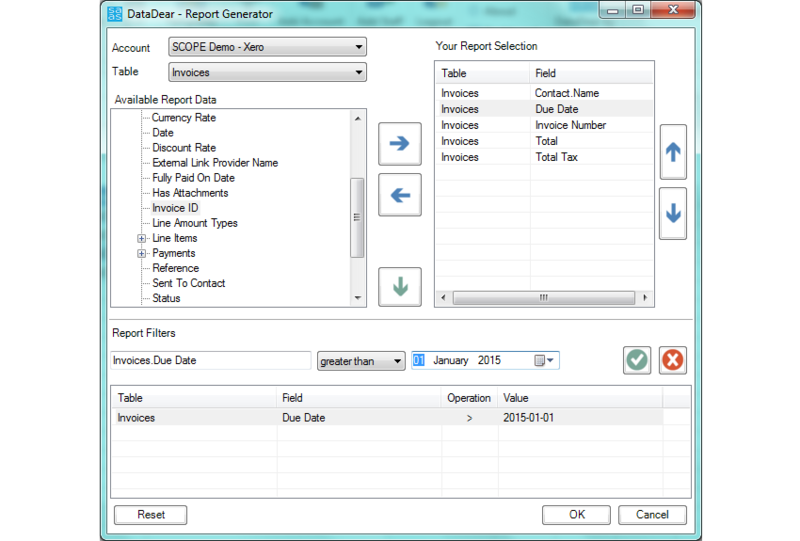 Create consolidated reporting for a group of companies and franchises. 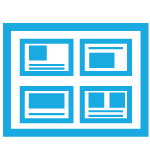 Choose to display the data in a variety of ways to facilitate your reporting. This feature is currently only available for Xero organisations. 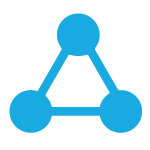 Add the Xero organisations to DataDear and group them for reporting purposes. Report against single organisations or against the group – including tracking categories. Choose from 3 consolidation reports which include the Trial Balance, the Balance Sheet and the Profit & Loss – including an option for Multiple Periods. Xero table data is presented in an optimised and user-friendly manner… ready for you to play around with. Each table can be configured by a number of user friendly parameters. Create a template and POST in the first organisation, change the organisation and repeat process until all data has been POSTed across the group. Choose a currency for the group of companies. Display the reports in group currency or the various base currencies. Currencies are live fed daily for accurate conversions. A unique way of posting directly to Xero from Excel WITH respective supporting documents as attachments. This feature will be available for QuickBooks Online shortly. Start by choosing a template designed for POSTing from the Templates Library such as Invoices, Bills, Manual Journals, Items & Bank Transactions & others. Over 9 templates and more will follow. Templates are designed with usability in mind. A beautiful design with smart features makes it easy to fill in the information required in the sheet. 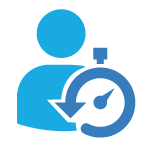 Choosing the Account Code, a Tracking Category, an Item or a Tax Rate is fast and precise as these are automatically loaded from Xero as a list – just select from a drop-down. Monitor the header of the Excel and any validation errors to continuously be on top of any mistakes or inconsistencies. Data includes attachments, journals, lines and total debit & credit. For each POST, decide if you wish to attach a sheet or multiple (including workings) in Xero. Might turn out handy in the future when posting an Invoice or a Journal. You may carry out POST workings in the same file – using a separate sheet for each POST. You can reuse these workings across multiple organisations. POST transactions details carried out in Excel are visible on screen and logged on the Dashboard. Details include if transaction was successful or if there was an error during POSTing. You may POST transactions directly or you may save as a draft if you wish to have a second look in Xero before committing. Maintain the chart of accounts easily … download accounts, edit or add new ones and POST – change organisation and repeat. Maintenance of your COA has never been easier! 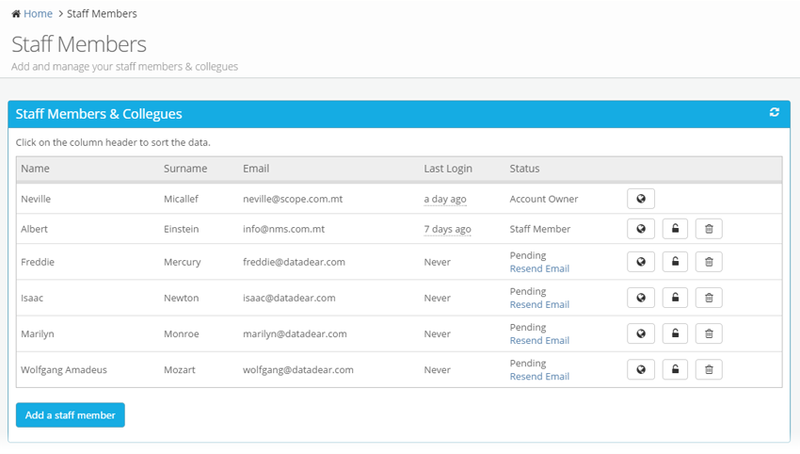 Manage your DataDear subscription and monitor usage statistics / history from a central web-based Dashboard. View instructions on how to get started and details of your Account Plan. Get full information about your subscription including plan, billing, usage statistics and connections. Add more Xero organisations and assign a friendly name. 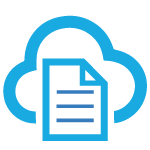 For each xero organisation, you may backup the data in Excel or XML format and receive it via email. Download the latest version of DataDear. The Excel Add-In can be easily installed on a recent Windows environment machine. 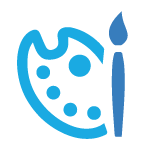 Add and manage your users – staff members and/or clients. Assign their rights for each Xero/QuickBooks organisation and view their recent login history. Browse the library of special DataDear Excel workbooks designed to POST data templates and to provide sample GET reports. Share your Xero organisations and Quickbooks Online companies with users to ensure that everyone is working on the same data. 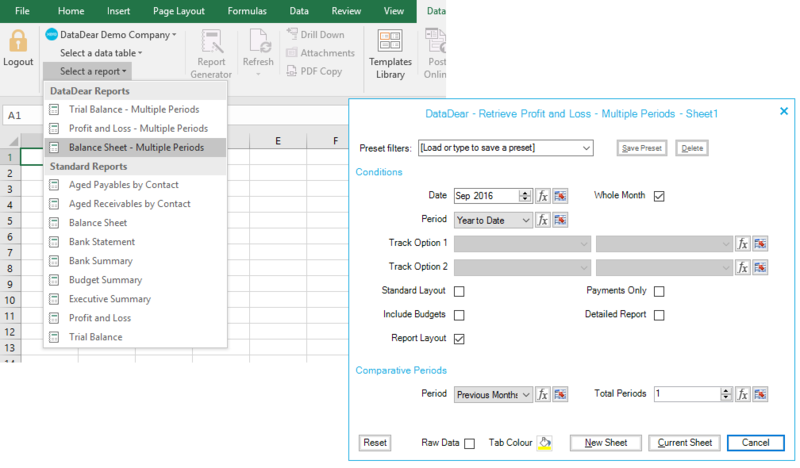 The account holder can add users which will be able to access the functionality of DataDear Excel Add-in and the Dashboard. These users will not be able to change any settings. Flexible user permissions – for each connected organisation, a user can have NO access, GET only access, POST only access or FULL access. View the recent login history of your users including the date, tool used and the IP address. Helpful to monitor work and to detect unauthorised access to DataDear. You can invite unlimited users to use DataDear – ideal to collaborate with colleagues and to share with clients. Send them an invite so they can get started! A connected organisation can also be shared with your clients – giving them access to custom reports which they can refresh with their organisation data. Exploit our Report Generator Data Toolkit – which allows you to download the specific fields you need from tables and build custom reports including clever filters. Build your own custom report – select a table from the list and pick the data columns from the list and order them in your preferred sequence. Filter your report data by any parameter you fancy. Clever filters adapt the allowed operations according to the selected parameter. Modify the generated report endless times even after you generate the report with the automatic saving of your report parameters & filters.